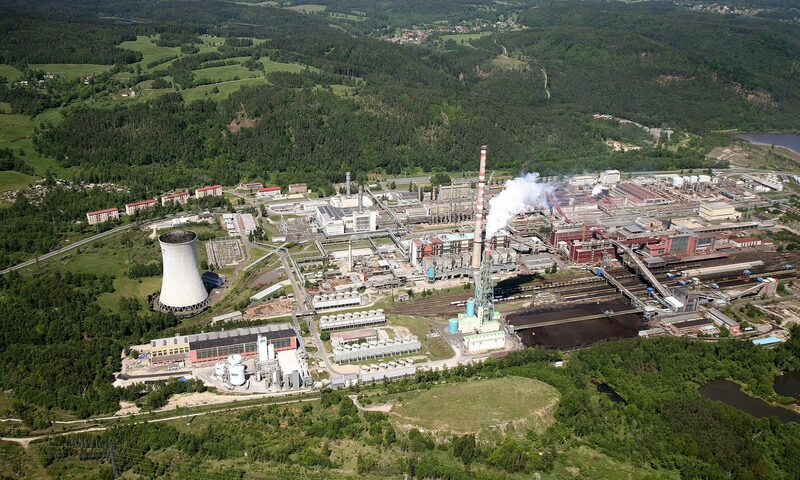 Sokolovska Uhelna is one of the Czech Republic’s largest independent power producers (IPPs) of electricity and the smallest brown coal mining company in the country. Its main products are electricity, heat, energy coal and carbochemical products. Today, the company extracts about 7 million tons of lignite per year, out of which, 50% is used for its own gasification process to produce syngas for an integrated coal gasification combined cycle (IGCC) to run its mining and industrial process as well as supply electricity to other customers in Europe. Since its establishment nearly 25 years ago, Sokolovska has invested heavily in upgrading its power generating and mining facilities. 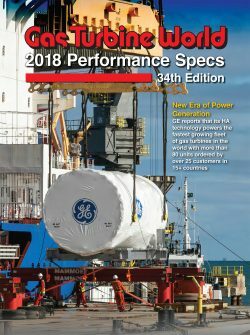 In its latest investment, the company has completed the upgrade of one of its existing GE gas turbines at the plant in a move that will improve the power plant’s heat rate, power output and flexibility and help lower maintenance costs. 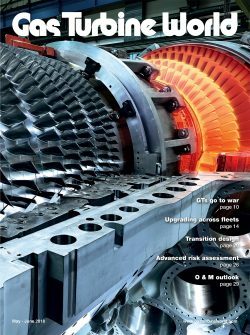 Notably, this is Europe’s first GE 9EMax gas turbine upgrade. Sokolovska’s facility, first commissioned in 1996, is an industrial complex that produces electricity as well as steam, which is used for the industrial process within the facility and also exported for district heating. He noted that the upgrade would basically “reset the clock” because the starts and operating hours go to zero, thus providing a design life of another 200,000 hours or 5000 starts. This equates to around a further 20 years, which would allow Sokolovska to continue to operate the power plant until the mining lease expires. Colwell explained that the plant’s life could have been extended using several methods. 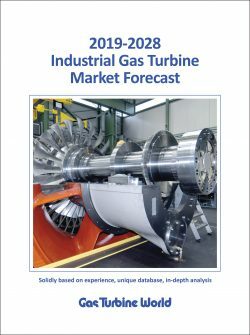 “We could renew the gas turbine through, for example, a rotor life solution that would add 100,000 hours; i.e. extend life by up to about 50%. We could also improve their performance because the aim was not just about extending life; it was a combination of end of life and performance. The upgrade saw the replacement of the entire gas turbine. Although there were several other aspects to the outage, this was the main focus. GE replaced the turbine with a new design, going from a 9E.03 to a 9E.04. The main design change means the machine went from a three-stage turbine to a four-stage design, which allows more energy to be extracted. Firing temperature is also increased by about 60°F for greater output and efficiency. improved rotor reliability using the latest insulation technology and rewind processes. According to GE, this was a “packaged solution” that injected the latest technology while giving the customer another 20 years of operation. Execution and performanceThe outage was carefully planned and executed. 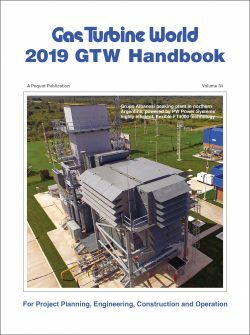 The first task was to gain access to the gas turbine – disconnecting and removing it, and replacing it with the new machine together with all of the associated auxiliaries. These include downstream equipment such as the ducting, exhaust frame and diffuser, expansion joints, etc. In order to optimise the outage time, this was done in parallel with the work on the generators. The control system was also upgraded to MKVIe. The result was an increase in available power and efficiency. According to GE the turbine is now designed to deliver 145 MW in simple cycle baseload, i.e. an additional 12-13 MW when operating on natural gas. Meanwhile, design baseload efficiency on fuel gas is quoted at 37%, which is 2.5% better than the design efficiency of the 9E.03 with advanced gas path (AGP). At part-load, i.e. an output of 130 MW, design efficiency is 35.8%, which is 1.2% better than the 9E.03 with AGP. The increase in efficiency will help to reduce operating costs. Running costs will also be reduced as a result of the need for less maintenance. Time between maintenance outages has been doubled with the new machine. Hot gas path inspections are increased from 16,000 FFH (factor fired hours) up to 32,000 FFH or four years. At the same time, the time between combustion inspections has increased from 8000 FFH up to 16,0000 FFH or 2 years. While it is difficult to accurately predict how much this will all improve plant economics, GE says it will save the customer millions of dollars over the plant’s lifetime. Colwell explained: “One of the reasons it’s not easy to determine, is because the customer generates his own fuel. For valuations we used market fuel price but since they use their own fuel, it’s difficult to determine the actual value and the split between savings resulting from improved efficiency and those due to having the capability for extended outages. “Over a time frame, the life of hot gas path components is 96,000 hours [three times 32,000] or about 12 years. This means they can now go for three inspection cycles before they have to replace them. We looked at how many intervals this customer could save over the span of 12 years,” said Colwell. “If they have an annual inspection on combustion, with every two years on the hot gas path and every four years on major inspections, they are looking at twelve outages. So, if it’s an annual event they go from twelve to six, cutting their outages in half. With a replacement of the first unit complete and operating commercially since September 16th, the next step is to replace the second unit during the summer of 2019. Colwell estimates a completion date some time during the third quarter of that year. Notably, there will be a change in scope between the first and second units at Sokolovska. GE says it will be utilising the compressor of the first unit and combining it with the turbine section of the 9E.04 for the second unit.